Athens. The tailor of the Presidential Guard workshops shows the fermeli which is hand sewn and embroidered exclusively with woolen threads. © Benjamin Tafel. The similarities between cultural worker/art curator, Laura Bernhardt, and art director/photographer, Benjamin Tafel, and their respective childhoods as the kids of Grecophile parents seemed destined to have prepared them for their roles as founders of From Hand to Hand, the online destination that celebrates "Stories About Craftsmanship in Greece Today." 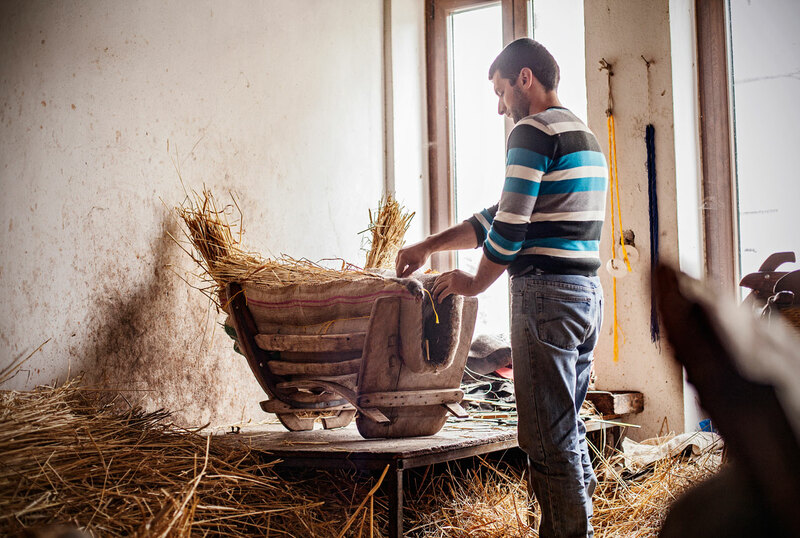 Inspired by personal stories that the creative duo has collected from traditional artisans during their continuous trips to the country of their childhood vacations, the From Hand to Hand project was officially launched on February the 28th 2017 - through grant funding from the Stiftung Kulturwerk cultural foundation - when Laura and Benjamin became determined to share these tales of resilience, perseverance and emotional strength during the country's growing economic crisis. "The initial idea was driven by our personal relationship with Greece," Benjamin shares, citing that he was only three months old when his parents took him on his first trip to the Northern Sporades islands. "It was a simple, but intense and a cheerful life [during] that time on the islands," he says. Meanwhile, Laura tells us of how her parents bought a goat shed in 1977 located above the coastal village of Kalamos on the Pagasetic Gulf. "I first came to this place when I was one," she says. "I would say it became my second home." In fact, her Godfather was a Capitano (Captain) who "had a beautiful Kaiki and a tavern with a stunning view across the Gulf," she says, citing one of her early memories of the land. Athens. 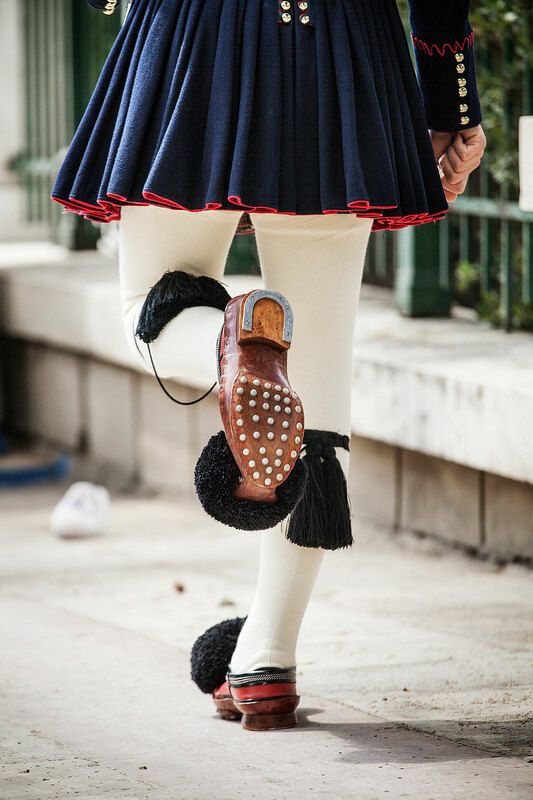 The Evzone‘s Tsarouchia‘s soles, the traditional red clogs, are studded with nails and iron. © Benjamin Tafel. Athens. The core business of Athanasopoulos‘ workshop is to build and repair the wooden greek tavern chair. © Benjamin Tafel. Athens. 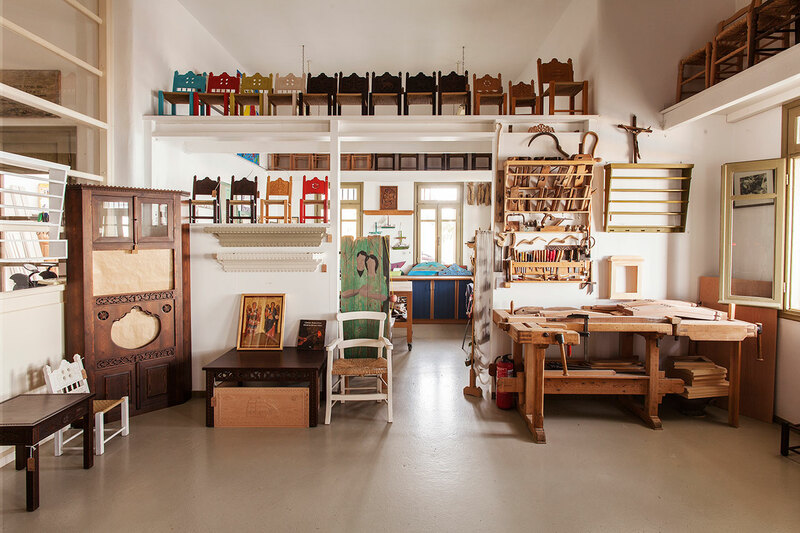 A workshop specialised in the craft of wickerwork. © Benjamin Tafel. Athens. 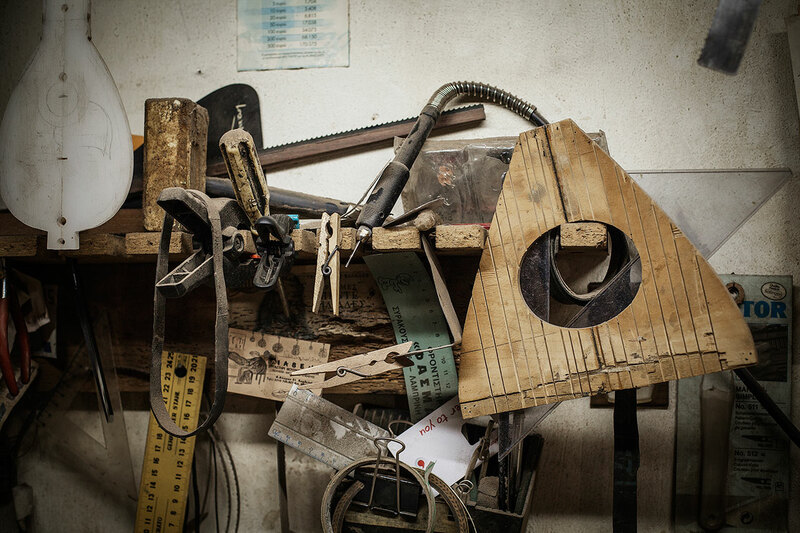 Stillife of work materials in the workshop of the Mountakis brothers. © Benjamin Tafel. From Hand to Hand is a beautifully curated showcase of Greek craftsmanship, featuring an intimate selection of makers. 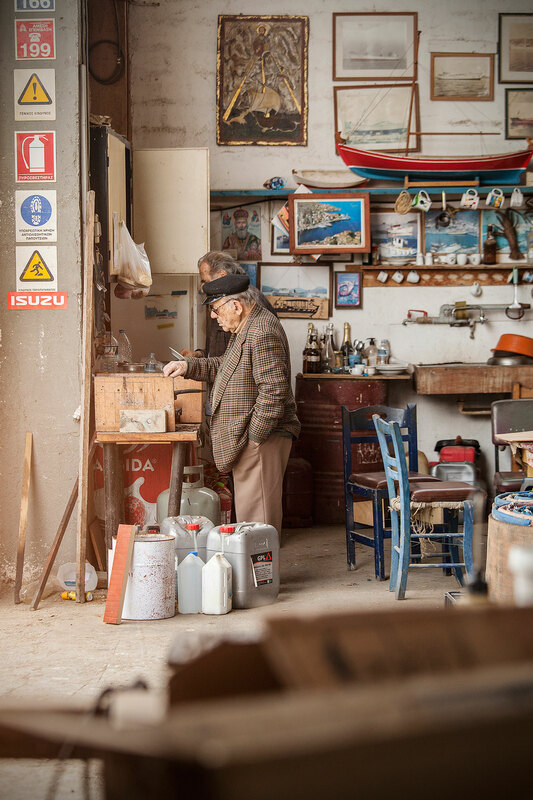 From boat builders in Pelion, to woodcarvers on the island of Skyros; and Athenian sandal makers, to a women's cooperative in Visitza, all these and many more stories and their accompanying intriguing images on the site shine a spotlight on age old craftsmanship and traditions that are, sadly, being forgotten amongst the fast paced, computer-literate generations of our times. "I appreciate people who treat things with respect and care," Laura shares. After reading the stories on From Hand to Hand it becomes obvious that for these craftspeople their professions are more than mere careers - they are their life and entire way of being. 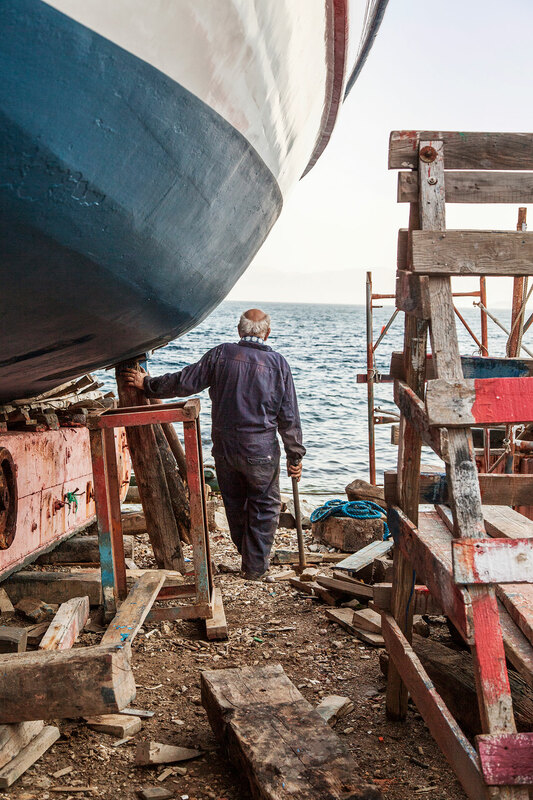 "The boat builders compared their relationships to their boats with a relationship to their own children," Laura says. "I find this metaphor vividly describes what it means for them to invest time, knowledge and creativity in the development of an object that is more than a commodity for them." Athens. 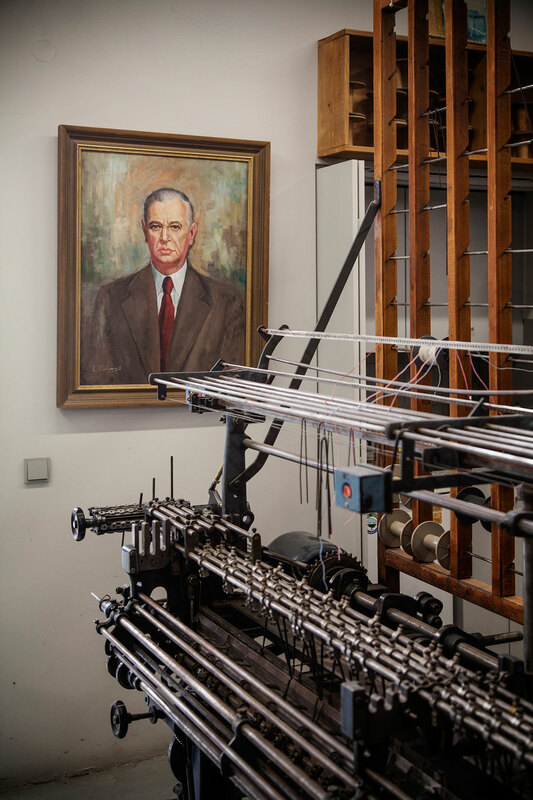 The Mentis ribbon weaving company. Detail of the production with the old braiding machine. © Benjamin Tafel. Athens. 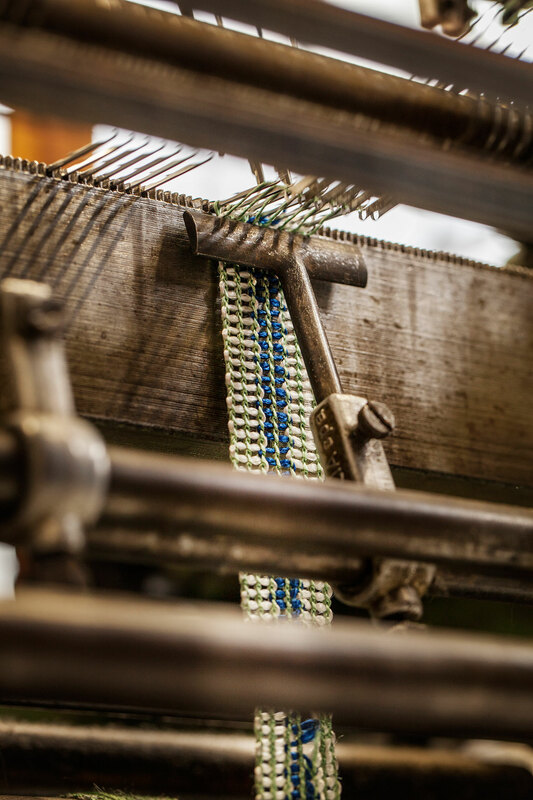 The Mentis ribbon weaving company. In the background a portrait of one of the former owners. © Benjamin Tafel. Athens. The art of making sandals. In the Olgianna Melissinos shop the base forms be finished in the shop and will be fitted to a customer‘s foot. © Benjamin Tafel. A shipyard of Kilada. One of the men stands by the gas stove and fries freshly caught sardines in olive oil. © Benjamin Tafel. 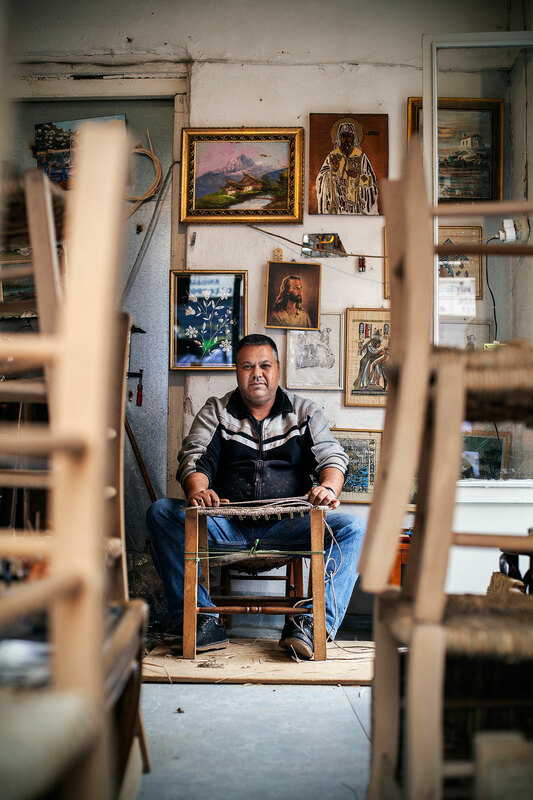 "Craft workshops in Greece were very present [in both of our lives] since out childhoods," Benjamin explains when asked why they felt the need to explore these crafts people, thereby revealing their struggles to the world at large. "Over the last few years, we have observed that they seem to gradually be disappearing. We felt the urge to draw attention to something that is only sparsely visible." Laura chimes in with agreement. "The ongoing economic crisis [and] the negative news about Greece, moved Benjamin and I to take a different perspective," she says. "We want to focus on the makers, on those who do not give up despite the increasingly difficult conditions. We want to return something that we have learned from this wonderful country, its great people and their way of life." Trikeri. TA Boatyard on the tip of the Pelion. After work its owner takes a long look at the sea. © Benjamin Tafel. The island of Skyros. A workshop on the edge of the road. A Romani family is weaving baskets. © Benjamin Tafel. The island of Skyros. Detail of a bee colony. 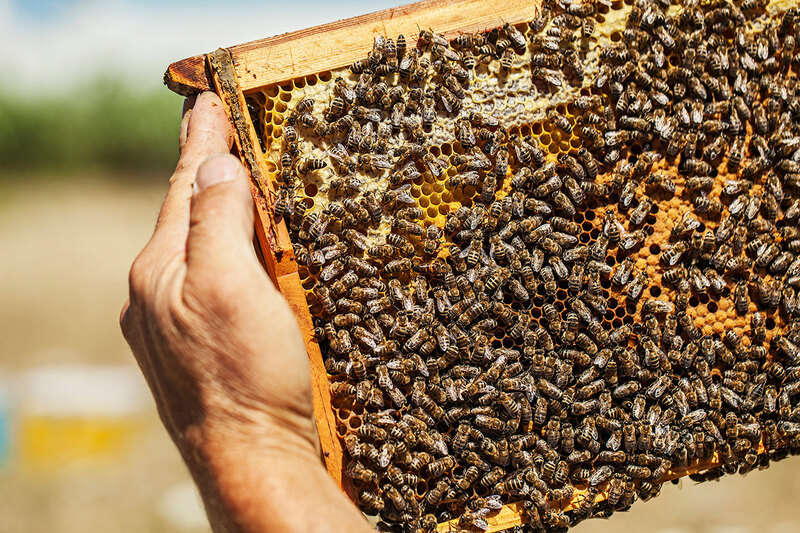 Wild herbs offers ideal conditions for high quality natural honey. © Benjamin Tafel. The island of Skyros. Woodcarver’s workshop with traditional Skyrian chair. © Benjamin Tafel. It is interesting to note - in a slightly ironic way - how the internet, the medium Laura and Benjamin are using to promote these old traditions is thoroughly modern. But perhaps this too is a perfect fit. "It would be interesting to rediscover [these old professions and examine them] in terms of their potential to recompose old traditions and techniques and connect them with contemporary thinking and maybe new technological innovations, so they become more attractive for the next generation to carry on handicraft businesses," as Laura (maybe even prophetically) shares. As for the future of the From Hand to Hand project, it couldn't be brighter. The duo are working on bringing to fruition a printed book as well as taking the site to new realms, even expanding the online medium through an exhibition format in a physical space. One thing is for certain; we are enthralled by the stories that Laura and Benjamin are telling, and as is the result with any great tale, we're greatly looking forward to the sequels that are sure to follow. Pelion. In the mountain village of Vizitsa, a guesthouse in a Pelion style manor owned by one of the women‘s cooperative founders. © Benjamin Tafel. In the city of Volos. Pelions last traditional saddler works on a saddle for donkeys and mules. © Benjamin Tafel. The authors Benjamin Tafel and Laura Bernhardt at the port of Trikeri © Benjamin Tafel.